This is probably my most involved cover ever. Pencils, scanned in, then my closest attempt yet at a fully digital painting, letting the digital color paint strokes do most of the talking, but still utilizing some of the original pencil strokes for emphasis in certain areas. 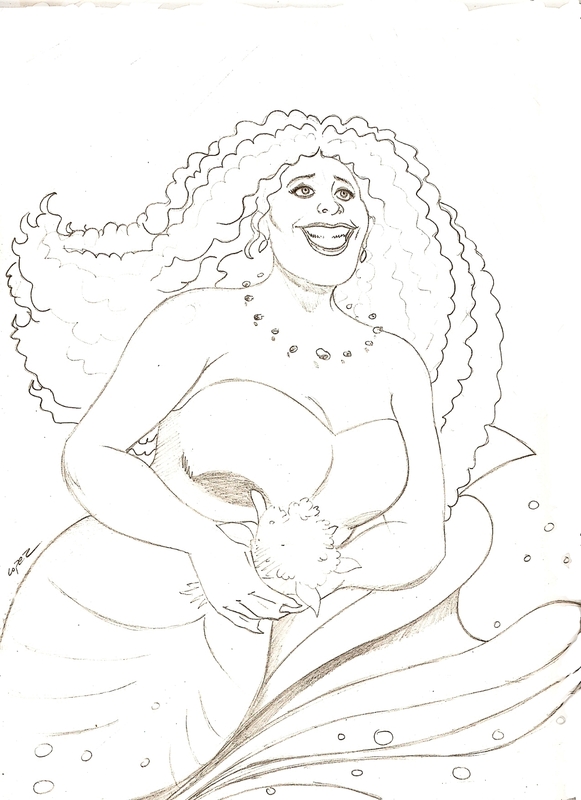 There was no specific model for Anjaneia Nui Waikamali’i, but I knew I wanted her to represent women of color, full-figured women, and island women. And she had to have THAT HAIR. And somehow, I think Gina Torres snuck into her facial features in this particular piece. I spent a couple of days laying down colors, highlights and filters to add dimension, backtracking through several versions before I got the look I wanted to achieve. The toughest part had to be the light coming from the surface into the water below. A combination of erasing and airbrushing, and then quick smudging downward strokes for the God rays helped complete the lighting effects. A final, light blue filter was layered over the piece to give it that underwater look. Cover Art with Final colors, highlights and filter. A stormy morning in June, nearly fifty years since the Great Quake, Coast Guardsman Lieutenant Derrick “Dee” Keyes, first mate of the 310 foot, MYSTIC-Class Cutter Zyrfass, had cut his bachelor party short to join a rescue operation. Semper Paratus, “always ready,” was the call to duty that drove him to become a Guardsman in the first place, but he sure hoped the op wouldn’t spill into his wedding day. 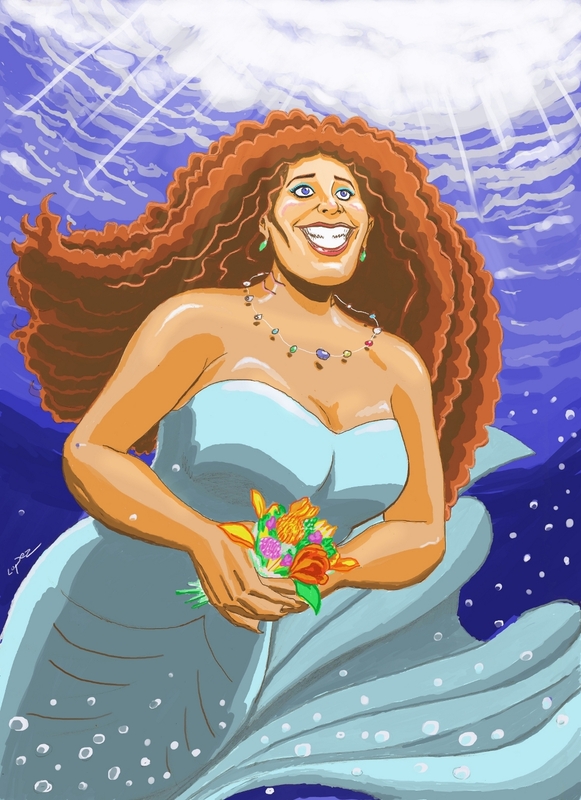 His fiancée, marine agriculture technician Anjaneia Nui Waikamali`i, a third generation mermaid, homo sapiens aquarius, was teardrop-shaped for aqua-dynamics; she had long, webbed hands and feet that looked more like flippers; and gills that ran along her neck and ribcage for long term submerged breathing. She was funny, fierce and had a voice like a Hawaiian sunset. Architeuthopolis shook and groaned with the churning of the sea. City maintenance teams worked tirelessly to batten down the hatches and fortify connecting corridors in the vast ocean floor habitat composed of thirty-five interlocking modules. Each module was self-sufficient, at least in the short-term, and, if necessary, could be rearranged or moved according to environmental conditions or the needs of the inhabitants. Many of the modules were designed after sea creature archetypes and had been given their counterpart designations like Crab Hall, Sand Dollar Station, and Coral Row. Derrick’s family had arrived three days before, from Florida, and his mother Gladadale had complained from the moment she had set foot in the undersea habitat. Sand Dollar Station was too cold, Lobster Pavilion was too hot, and the whole thing was claustrophobic. Oh, and she hated seafood. Anjaneia took this all in stride. Derrick had warned her that his mother hadn’t been the same since his father died in one of the last great quakes, and she had made the difficult decision to move back to Florida to live with her folks. So she was a little bitter and angry, but once she warmed up to Anjaneia—and how could she not?—she would be fine. 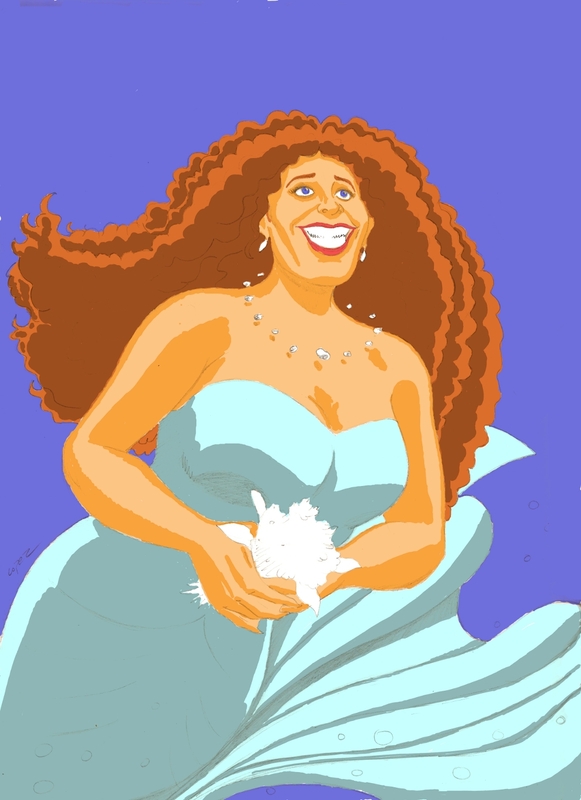 Anjaneia felt three years, never mind days, wouldn’t be enough to warm this woman up. There was going to be a wedding. And there was going to be a tsunami.